Television programming in India is generally packed with crassness, crudity and inanity of the worst kind. In such a dismal scenario, once in a while there comes a breath of fresh air which breaks the established (and perhaps commercially viable) stereotypes and takes the viewers to an illuminating journey full of empathy and humaneness. Rubaru Roshni, produced by the duo of Aamir Khan and Kiran Rao and directed by Svati Chakravarty Bhatkal, definitely stands tall among these rare exceptions. Rubaru Roshni is a compilation of three separate stories of killers and their victims, where the victims undergo a harrowing journey towards finding love, empathy and finally forgiveness which redeem the lives of the criminals who had assassinated, murdered and killed their family members in acts of mindless violence often underscored by political motives. The first story describes how Avantika Maken – daughter of Congress leader Lalit Maken, who along with his wife Gitanjali were assassinated by Ranjith Singh Gill alias Kuki, as an act of vengeance post the horrific riots in 1984 in Delhi which followed the assassination of the then Prime Minister of India, Mrs. Indira Gandhi. The storytelling delicately captures the nuances of both the characters – how Avantika overcomes her childhood trauma and deep-rooted hatred and how Kuki is ridden with guilt and the futility of his violent actions and how both find redemption when Avantika forgives Kuki and thus frees him from a lifetime in the dungeons. The second story describes the journey of the family of Sister Rani Maria especially that of sister Selma, who too is a nun, murdered in the back lands of Madhya Pradesh by Samundar Singh, a marginal farmer who is instigated to murder the nun in open daylight by a gang of feudal landowners who feel threatened by Sister Maria’s activities to empower the marginalized of the village. The process of overcoming the hatred and mistrust is captured with compassion and the scene where Sister Selma ties rakhi on Samundar and thus co-opting him as a ‘brother’ is heart-warming and wonderfully underscores the theme of the documentary – forgiveness. The third story is about Kia Scherr, an American woman who lost her husband Alan and thirteen year old daughter Naomi in the 26/11 terrorist attack on Mumbai more specifically at the hotel Oberoi Towers. Kia comes every year to Mumbai to preach about peace and forgiveness. Somehow this segment, though poignant in its own way, lacks the redemptive quality of the first two stories mainly because there is no face-to-face encounter between the victim and the perpetrator as Ajmal Kasab, the only terrorist who had been captured alive was already put to the gallows. However, the hitherto unseen footage of a drug induced Kasab breaking down under interrogation and breaking down while realizing the sheer horror and futility of his actions does pack a punch. The scene also underscores the point how rootless and poor youth are dragged into acts of terrorism by promises of money and an after-life in heaven. Debutant director Svati Chakravarty Bhatkal merits all the kudos for letting the characters speak for themselves and not indulging in overt (and covert) manipulations to over emphasise the pathos and emotions of the characters. Hemanti Sarkar’s sensitive editing lets the stories flow uninterrupted and in a manner which pulls the heart strings without being cloying. However, Shanti Bhushan Roy’s cinematography seems to be a tad too ‘beautiful’ and ‘glamorous’ and does not match the overall sombre mood of the documentary. Talking about glam, too many costume changes of the protagonists of the first story is also jarring to a certain extent. The sound design by Mohandas VP is minimalist in nature and goes in synch with the content though the film could have done away with the overuse of the slightly sentimental and clichéd theme music. But these so called ‘flaws’ have to be judged in the context that Rubaru Roshni is finally shaped into a documentary for a television audience – implying general/mass viewership – which perhaps limits the visual and audio experimentations an independent documentary maker can afford to indulge in. Three poignant and heart-warming stories, three heart felt cries for peace, empathy and understanding, Rubaru Roshni stands out in a world that is today ridden with merciless violence and counter-violence. 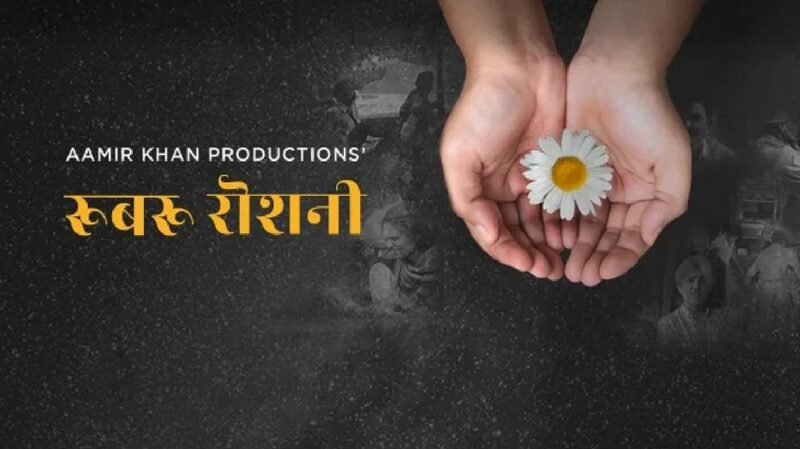 Even with its minor blemishes, Rubaru Roshni stands tall as one of the most meaningful and engaging piece of documentation that one has seen on India television for a very long time. The producers, director and the technical crew deserve a big round of cheers indeed. Oh yes, Irene. Seldom one across something made with so much love and empathy on Indian TV screens.